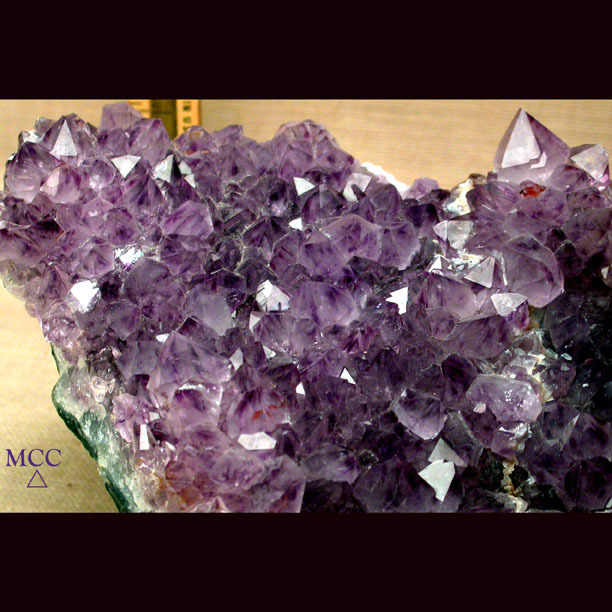 We're pleased to offer this gorgeous Brazillian amethyst cluster for your collection - every purple crystal has a phantom. Several also have additional iron, giving them a deep color cast. 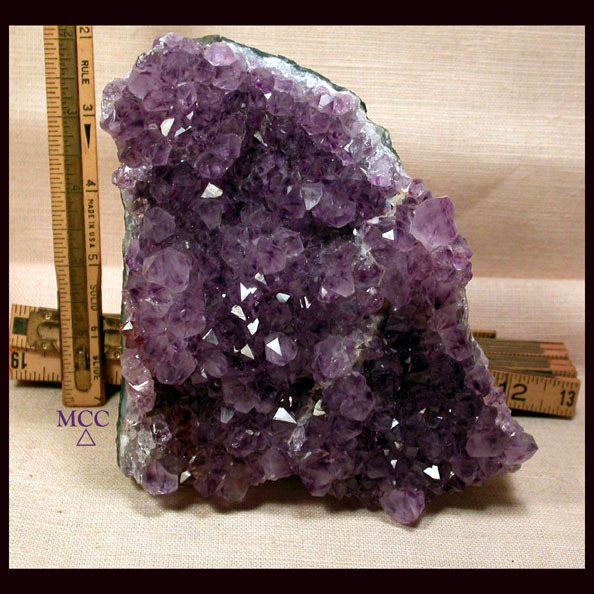 Big rainbows... A fine ribbon of creamy calcite with four or five tiny snowballs. Deep green and variously colored chalcedony base. 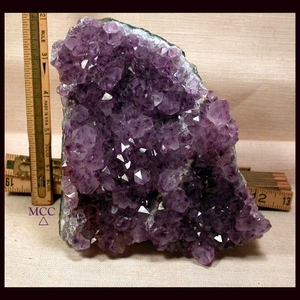 Triangularly shaped, this cluster is 5x 2x 6-1/2". Stands by itself as shown, or sits flat for you to see its' densely packed individuals. Only one crystal has a small chip.